In this section on the 1800-1900s, I’m going to focus on three women who ‘also wrote plays’, but who were primarily important due to the roles they played in the development and growth of the UK theatre in the late 1800s into the early 1900s. It has to be noted that these were each wealthy, privileged women, but it was exactly their wealth and privilege, combined with their passion for the theatre that helped them to manage theatres, or produce plays, or campaign for a national theatre, at a time when women were frowned at for smoking in public. 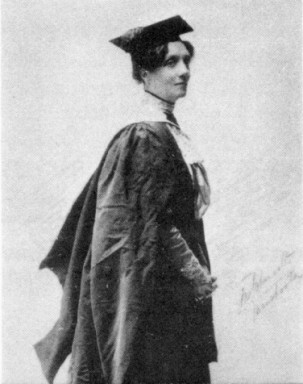 Augusta Gregory’s plays fell into unpopularity during her lifetime and aren’t revived, Annie Horniman was laughed at for wearing ‘exotic clothing’, and it’s Edith Sophy Lyttelton’s son who is remembered at the National Theatre, not her. They were women who were groundbreakers at the time, but were regarded as oddities or dilettantes. However, their true legacy endures, in the very fabric of the buildings our theatres are made of. When Denis Johnston submitted his first play to the Abbey Theatre in Dublin, it was rejected by Lady Gregory and returned to the author with “The Old Lady says No” written on the title page. Johnson renamed the play, and The Old Lady Says ‘No’ was eventually staged by the Gate Theatre in 1928. Lady Gregory was part of the Irish Literary Revival – the mid 19th century flowering of Irish literary talent and revival of interest in Ireland’s Gaelic heritage. With the writers William Butler Yeats and Edward Martyn, she co-founded the Irish Literary Theatre and the Abbey Theatre, and wrote short works for both companies. 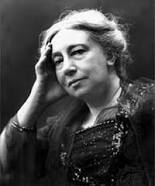 Lady Gregory also produced a number of books retelling stories taken from Irish mythology. But it was not until after her husband’s death, whilst back in Ireland, that she rediscovered an interest in her Irish heritage and language. The playwright Edward Martyn was a neighbour, and it was during a visit to his home that she first met W. B. Yeats. Discussions between the three of them led to the founding of the Irish Literary Theatre in 1899, a short-lived project which only lasted until 1901 due to lack of funding. In 1904, Lady Gregory, and a ‘super-group’ of Irish actors, producers and writers comprising of Martyn, Yeats, John Millington Synge, Æ, William and Frank Fay and English theatre patron and manager Annie Horniman came together to form the Irish National Theatre Society. Lady Gregory remained an active director of the Abbey Theatre until ill health led to her retirement in 1928. During this time she wrote more than 19 plays, mainly for production at the Abbey. Though her plays had been among the most successful at the Abbey in the earlier years, the times had changed and her popularity had declined. One Irish writer, Oliver St John Gogarty, wrote “the perpetual presentation of her plays nearly ruined the Abbey”. Annie Horniman was part of the Horniman family, who had got wealthy from tea. She helped establish the Abbey Theatre in Dublin and founded the first regional repertory theatre company in Britain at the Gaiety Theatre in Manchester. She encouraged the work of new writers and playwrights, including W. B. Yeats (whom she helped by writing down his words for him,) George Bernard Shaw and other members of the Manchester School of dramatists. Her father was a tea merchant and the founder of the Horniman Museum; her grandfather founded the family tea business, Horniman and Company. Her father considered the theatre sinful, but Annie’s German governess took her secretly to a performance of The Merchant of Venice at The Crystal Palace when Annie was aged 14, and she was hooked. Annie’s first venture into the theatre was in 1894 was made possible by a legacy from her grandfather. She anonymously supported a friend in a season of new plays at the Avenue Theatre, London. The season included a new play by Yeats, The Land of Heart’s Desire, and the première of George Bernard Shaw’s play Arms and the Man. In 1903, her friend Yeats persuaded her to go to Dublin to back productions by the Irish National Theatre Society. Here she discovered her skill as a theatre administrator. She bought two adjacent buildings and developed them into the Abbey Theatre. Although she moved back to live in England, she continued to support the theatre financially until 1910. In 1908, in Manchester she purchased and renovated the Gaiety Theatre and developed it into the first regional repertory theatre in Britain. She also encouraged local writers who formed what was known as the Manchester School of dramatists. Annie became a well-known public figure in Manchester, lecturing on subjects which included women’s suffrage and her views about the theatre. In 1910 she was awarded an honorary MA by Manchester University. The Gaity Theatre continued to put on plays during the war, but financial difficulties led to the disbanding of the rep company in 1917. In 1921 Annie sold the theatre to a cinema company. In 1933 she was made a Companion of Honour, as a recognition for her outstanding achievements in the arts. Dame Edith is the woman perhaps the Lyttelton Theatre should be named after – but it isn’t, it’s named after her son, Oliver, who became the first chairman of the National Theatre in 1962, obviously inspired by the campaigning that his mother started. She was a woman of aristocratic connections who was very active in politics and social reform. Amongst her many achievements: she helped establish the Victorian League in 1901; she supported the Women’s Tariff Reform Association; she served on the Executive of the National Union of Women Workers (founded in 1895) and as Chairwoman of the Personal Service Association (founded in 1908, to alleviate distress caused by unemployment in London). At the outbreak of World War One, she became a founder of the War Refugees Committee. She was made Deputy Director of the Women’s Branch of the Ministry of Agriculture in 1917, served on the Central Committee of Women’s Employment. She was also the British substitute delegate in Geneva to the League of Nations several times. From 1918 she lobbied for the foundation of a national theatre in London and was a member of the Executive Committee of the Shakespeare Memorial National Theatre in Stratford-upon-Avon. 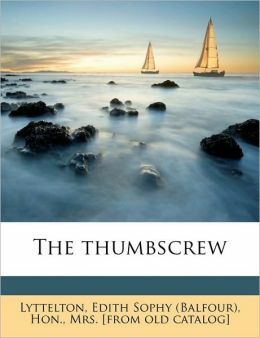 She also found time to write: a novel, a travelogue, a biography of her late husband. She was encouraged by her close friendship with George Bernard Shaw and the actress Mrs Patrick Campbell to write plays. Among seven plays, two were inspired by her campaign against ‘sweated’ labour, Warp and Woof and The Thumbscrew. She was made a Dame Commander of the Order of the British Empire in 1917 and was inducted into the Order of the British Empire in 1929.